2016 marks the seventh anniversary of the popular art festival ART-Town, which invites both artists and retailers to get involved and celebrate the diversity, history and everyday beauty of the Chapel Street Precinct. 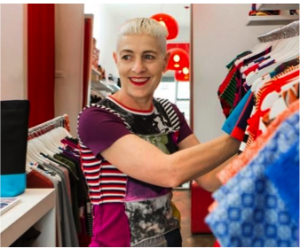 Participating in ART-Town for the first time is Greville Street’s quirky and colourful institution FOOL Clothing. Since opening her doors 18 years ago, designer Rowena Doolan has been a vivacious part of Melbourne’s fashion scene. Her work has become so iconic that it is included in the permanent fashion collection at the National Gallery of Australia. “I love it when the ART-Town time of year arrives! I get so excited when I see artists working in the streets and when shop windows become more vibrant with works of art. Retailers benefit from ART-Town because the whole thing creates a new buzz and atmosphere in the precinct which brings new people to the street,” says Doolan. “It’s so important we remember that good art and design make our lives richer; more imaginative. Drawings, paintings, sculptures, and embroidery can say things that we might not have the words for. We have so many talented local artists and designers and I want to celebrate them. That’s why I’m excited to be a part of ART-Town this year and, hopefully, many more years to come,” she adds. 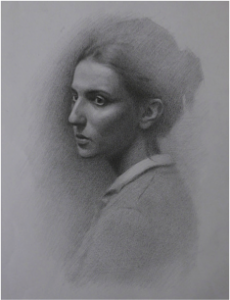 Returning to Art-Town 2016 is Malvern East based artist and ART-Town 2013 first prize winner Troy Argyros. This year Troy will be creating a traditional still life drawing in the Salvos Store using objects found in the store. “The concept is to contrast the highs and lows of Chapel Street culture – the excess, the partying, drinking and casual flings versus the struggles of the unemployed, homeless and lower socio-economic group of individuals who come to Chapel Street – be it to work in the humble bakeries, to pawn jewellery or the to beg for money outside of Coles. These contrasts are happening simultaneously, two sides of the same coin.” Troy’s work has been shown in several group exhibitions across Australia as well as his most recent solo exhibition Fragments of Florence at Sofitel Melbourne on Collins in November 2015. This is his fourth appearance at ART-Town. “ART-Town is a great celebration of the diversity of Chapel Street and brings together many artists of different backgrounds. It allows the public to engage with them and experience art in a new way. My participation in ART-Town has given me some wonderful opportunities as an emerging artist. I’m so grateful to be involved again,” Troy says. ART-Town: Sat/Sun April 2–3 and Sat/Sun April 9–10. ART-Town exhibition of artworks is held at Chapel Off Chapel. 26 April –14 May 2016.